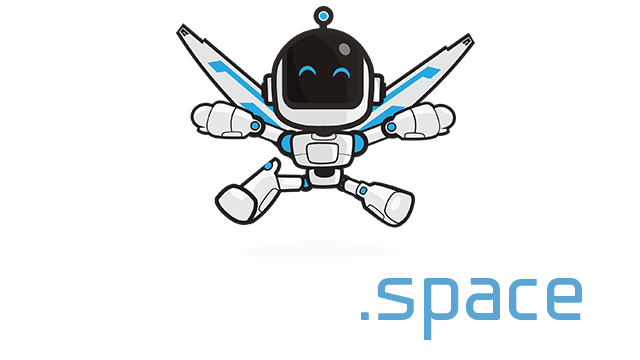 MineRoyale.io | Play MineRoyale.io free on iogames.space! 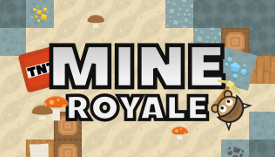 MineRoyale.io is a 2d Minecraft Battle Royale .io game. Mine iron, gold, and diamonds to craft armor and weapons before the forcefield shrinks! Fight players using TNT, arrows, and your sword to become the #1 Miner! Every player spawns with the same resources in a random location on the large, square map. As time goes on, a deadly forcefield begins to close in towards the center of the map. To have a chance at winning the game, you must collect resources and prepare to fight with other players. When the center of the forcefield becomes very small, you will encounter enemy players. The player with the best TNT and bow shooting skills will probably come out on top! You will notice that not everything is visible when you look around. There are dark areas on your screen. These are the areas surrounded by blocks. You must start mining into these areas to see what is there. If there is a cave on the other side of some stone, you will not be able to see it until you mine into it. The forcefield sits still for 60 seconds, then closes in for 60 seconds, and repeats this process until there is just a tiny circle remaining at the center. The forcefield slowly damages you, so it is best to avoid it. The red area on the minimap shows where the forcefield currently is, and the black circle on the minimap shows where the forcefield will shrink to next. Mineshafts are the only source of wood in the game. They are shown as thin, black lines on the minimap. You should make it a priority to go to a mineshaft and collect wood early in the game. You must craft better tools, weapons, and armor to be successful in this game. Some things can be crafted as many times as you want, like arrows, TNT, and stew. Other things, like armor and tools, only need to be crafted once for you to have them for the rest of the game. You must have the right resources to craft new tools and items. When it comes to crafting tools, swords, and armor, you must craft them one level at a time. For example, you must craft a stone sword before you can craft an iron sword. As you craft better pickaxes, your mining speed will increase. Wood and stone pickaxes can’t mine certain ores, like gold or diamond, so you must upgrade your pickaxe to mine these. Armor will reduce the damage that you take from enemies, like sword damage, arrow damage, and TNT damage. Diamond armor is very strong, so it is advantageous to collect diamonds and craft it! Better swords will deal much higher damage to players. A diamond sword can easily kill an unprotected player. TNT can break blocks, and it will damage nearby players greatly. You can throw TNT with left click. If it hits a wall and remains there for a short time, it will explode. You can also detonate the furthest piece of TNT that you threw by right clicking. This is very useful if you are trying to kill a player. If you want to detonate all of your undetonated TNT, simply right click multiple times. You can sneak by pressing SHIFT. If you are not sneaking, your name is visible to all nearby players, even through walls. Sneaking will slow down how fast you move. It is useful to avoid confrontation, or to sneak up on someone. Start the game out by collecting some stone and crafting a stone pickaxe, letting you mine faster. After that, head straight for the nearest mineshaft to get wood. Once you have plenty of wood, start mining all ores and collecting all mushrooms that you see. Having plenty of resources will prepare you for fights later on. Keep an eye on the forcefield in the minimap, and start making your way towards the center. Try not to spend all of your resources fighting a single person, as it will leave you unprepared for later. Once the forcefield has closed in very far, find a spot to hide near the center, then pop out and attack when the remaining opponents come. When there are only a few players remaining, use your TNT to break blocks and open up an area for attacking your opponents. Throw TNT and detonate it when it comes very close to your opponents, dealing the most damage. Follow this by firing lots of arrows. If you have good aim and timing, you will be able to kill your opponents and become the #1 Miner!